Roger Federer one of the greatest tennis player in the world. He recently joins the all time players list who won most grand-slam titles. Federer turn professional in year 1998 and won his first major grand-slam (Wimbledon) in year 2003. He is all time richest tennis player in history. The Swiss tennis star make his name among the richest athletes of the world. In year 2017, he earned $6 million from the tennis competition and $58 million from the endorsements. 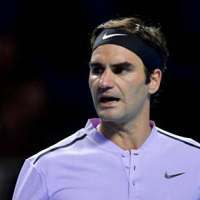 Federer is most marketable athlete in tennis since last 2015. In 2017 he won back to back grand-slam (Australian Open and Wimbledon) which put great impact on his tennis ranking and he become world number one again. Talkin about his earnings, he endorsed big brands that bring big money each year to his account. He endorsed for brands like (Nike, Wilson, Credit Suisse, Mercedes, Rolex, Lindt, Jura, Moet & Chandon, Sunrise and NetJets). Recently in 2017 for his great comeback in tennis he received (Laureus World Sportsman of the Year) and Laureus World Comeback of the Year awards.